You’ll find over 30 years of experience, training and expertise at Bennett Chiropractic Care. Libertyville chiropractor, Dr. Thomas Bennett provides advanced spinal correction using state-of-the-art techniques. We’ll focus on locating and addressing the cause of your problems, not just alleviating your symptoms of pain. Chiropractic care will find locked-up areas in your spine and extremities causing your discomfort. We’ll improve your function and quality of life. 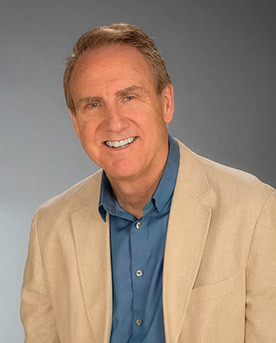 Dr. Bennett has extensive expertise in the use of Activator® Methods chiropractic technique. This instrument is precise, safe, comfortable and effective for all patients, even children and those with osteoporosis. No force by hand is used, and you won’t hear any cracking or popping. It takes just a few minutes and is painless. Lifestyle advice. We’ll help you achieve a healthier lifestyle to give you the opportunity to achieve the life you choose, full of the activities that are important to you. Corrective exercises. Individualized exercises help to balance and correct irregularities that may be causing your pain. Done in the comfort of your home, these exercises will help your body function better and reduce your pain. We’ll make sure you get the right chiropractic care for you, at the right time. Adjustments can help you prevent injury and flare-ups and are part of a wellness lifestyle. Our patient-centered approach is complemented by giving you the care you need promptly. Same-day appointments are available, even if you’re a walk-in new patient. We know you want to get in and out of the office quickly. Our convenient location and efficient service will allow you to do just that! Are you ready to see a health care practitioner that will give you the attention you deserve? Contact our office today at (847) 680-9191 to schedule your time. Office is friendly, easy to schedule appointments, and treatment is successful. Received exactly what I hoped for, success. Dr. Bennett has always been able o get me back on track and the staff is always very helpful and effiecient. Friendly office staff that works with my schedule. Dr Bennett is experienced and straight forward. My experience has been better than expected. Your team is knowledgeable, quick, and efficient. I love how friendly the staff are the moment I walk into the office and how knowledgeable Dr. Bennett is in his field. It’s hard for me to trust normally, but staff and Dr Bennett made it easy. My recovery happened just as he said it would. I was in so much pain. Dr. Bennett saw me the same day, within two days I felt so much better. With lots of exercise during the day, and things randomly getting out of place, Bennett Chiropractic really helps me feeling good. I love the friendly environment and how Dr. Bennett explains what he is doing so you understand what is going on. People are very friendly. Have always received good times for appointments. Dr. Bennett listens to all of my concerns and addresses the issues. The office staff is friendly and helpful. Everyone is super nice and caring. Dr B has always taken great care of me. I am impressed with the attention to detail that is focused on my care. The experience has been very good. I look forward to coming. I feel my pain is well assessed and treated. Dr. Bennett is an excellent diagnostician. I have been very happy with Dr. Bennett and his office. They are very competent and and friendly. Dr. Bennett is very reassuring and great at explaining the issue & the plan to get you better. I was feeling hopeless and he reassured me through every adjustment. He is a wonderful doctor and person. Very pleasant office environment. Great people to work with. Everyone here is so nice and when you come for an appointment you are seen quite promptly. Office is neat and clean. Entire staff is friendly and caring. Dr Bennett always explains things thoroughly.